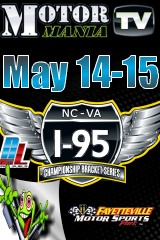 Fayetteville, NC - Loose Rocker Promotions brings back the 2nd Annual DoorSlammer Nationals to Fayetteville Motorsports Park this weekend. 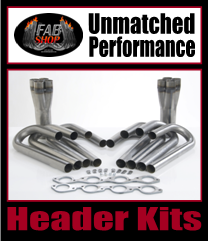 Two $5,000 to win races and a $20,000 Main Event format this Top Tier "Door Cars" only race. Early Parking begins Thursday evening. 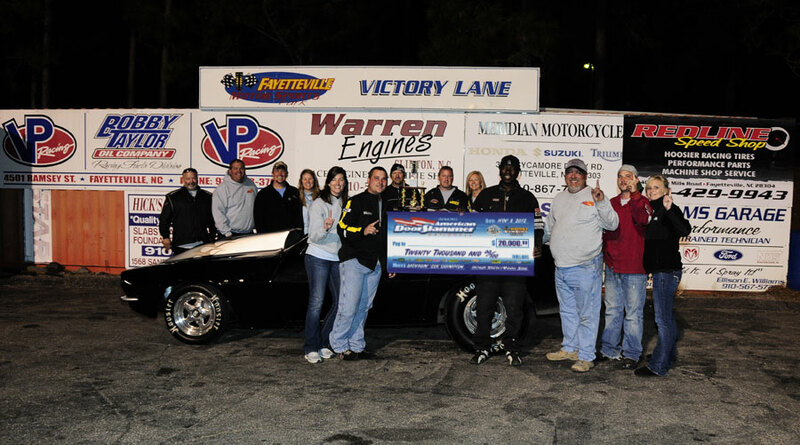 Fayetteville, NC - The big win came behind the wheel of Wesley Roberts' Camaro. Alford set the tone for the day with a perfect .000 reaction time in the opening frame, and only had two lights worse than an .017 in the eight round race. 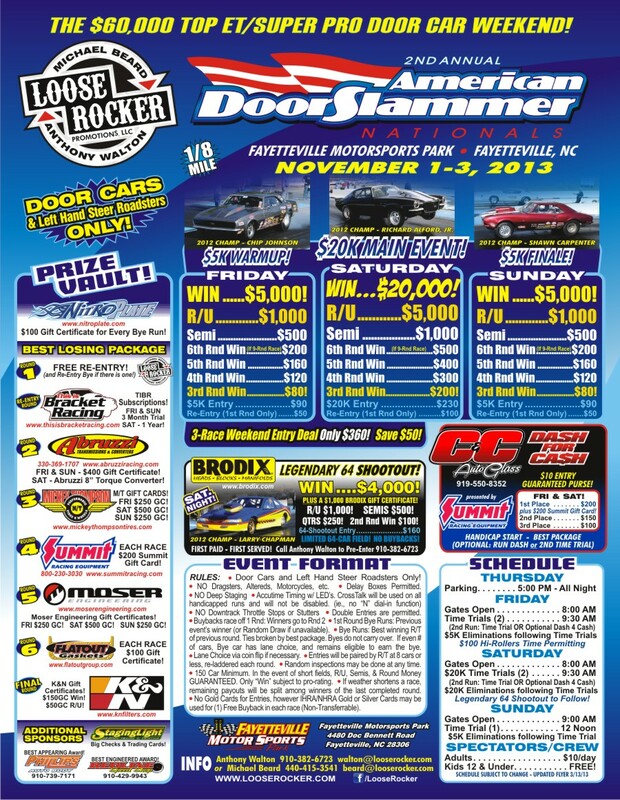 Fayetteville, NC - Michael Beard and Anthony Walton have again teamed up with their Loose Rocker Promotions and will be hosting the Inaugural American Doorslammer Nationals this weekend Nov 2-4th at Fayetteville Motorsports Park. 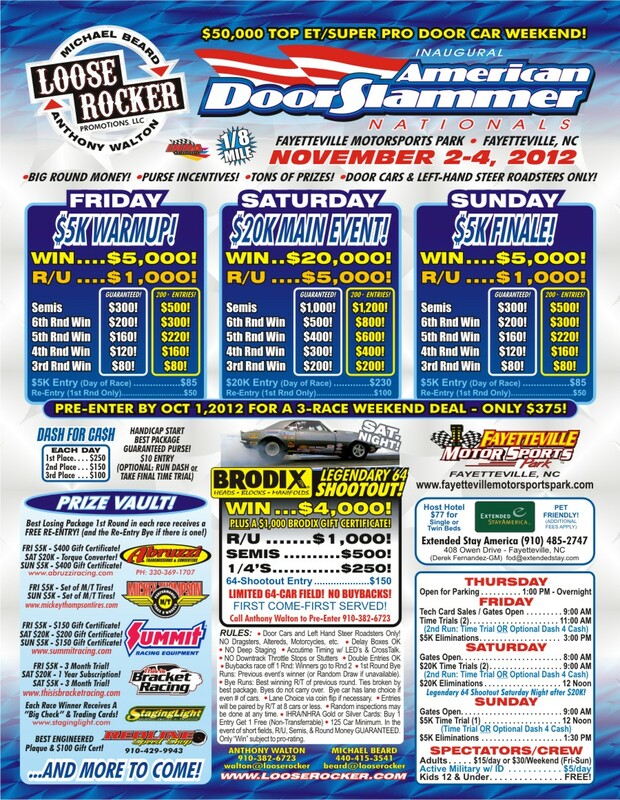 Big Bucks are on the line with a $5k / $20k / $5k for a $50k total Top ET / Super Pro Door Car Weekend.